Bold, classy, laser engraved beauty, the Aluminum Diamond PopSockets® is here. 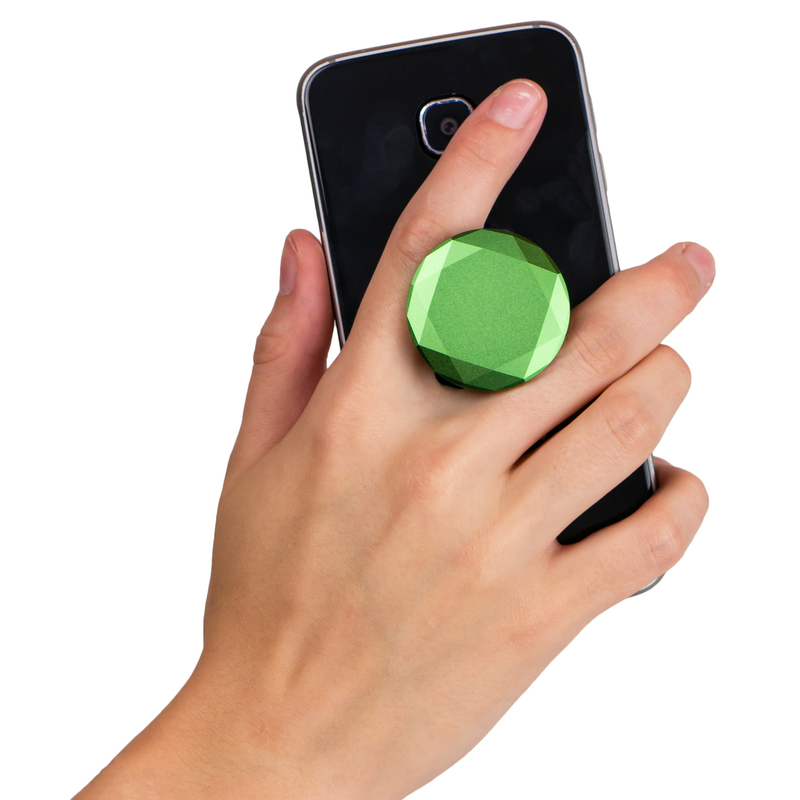 Available in Ruby, Sapphire, Emerald, and Silver; it's on-trend and on-your-phone. 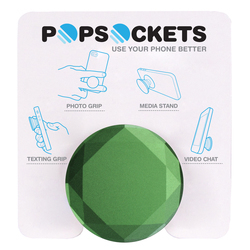 Sticks flat to the back of your phone, tablet or case with its rinsible, repositionable gel. Bling out your smartphone with these laser engraved beauties. 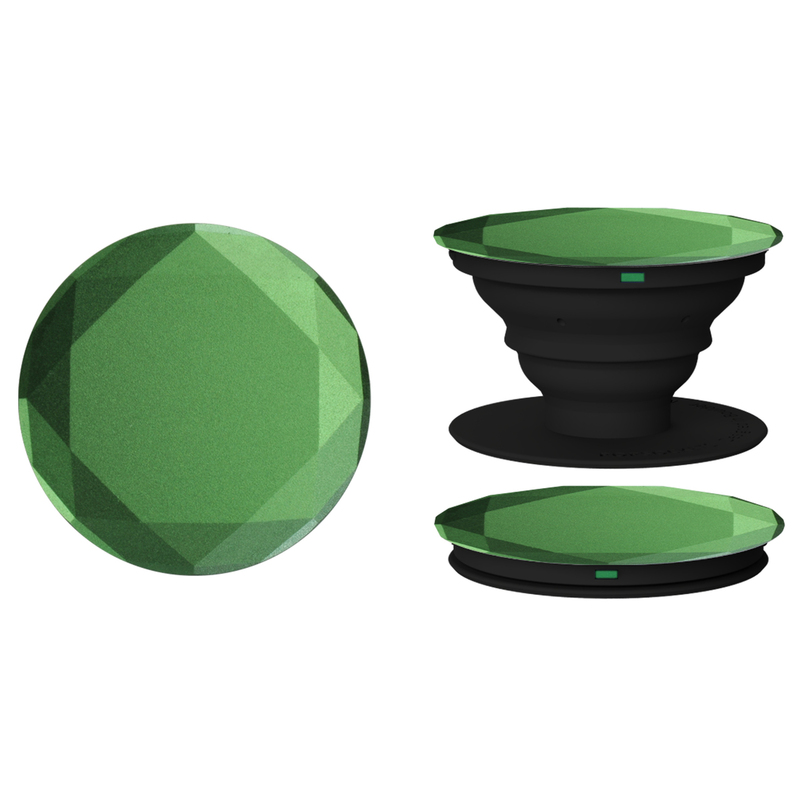 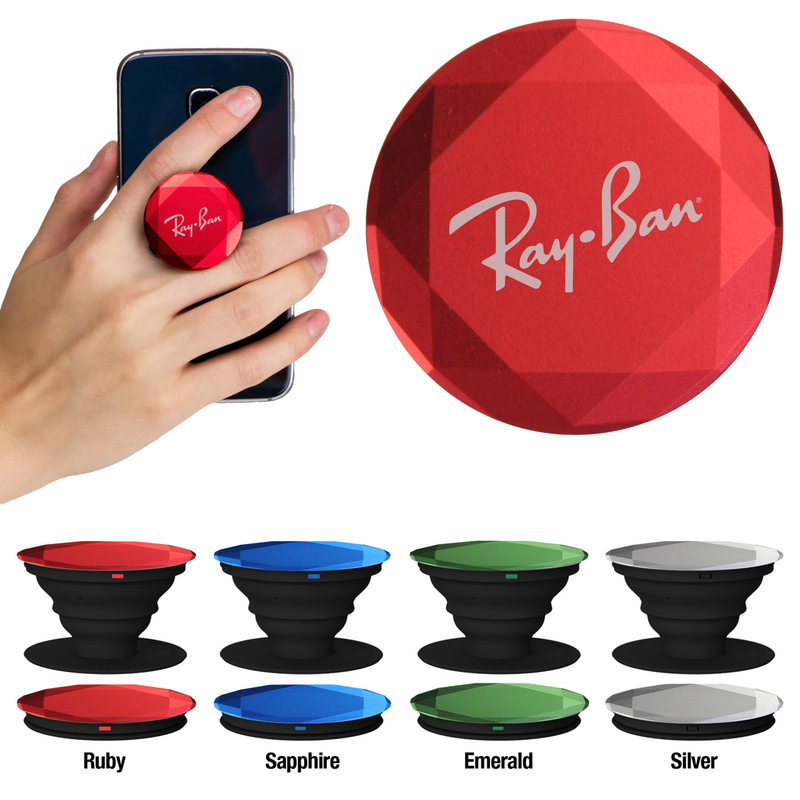 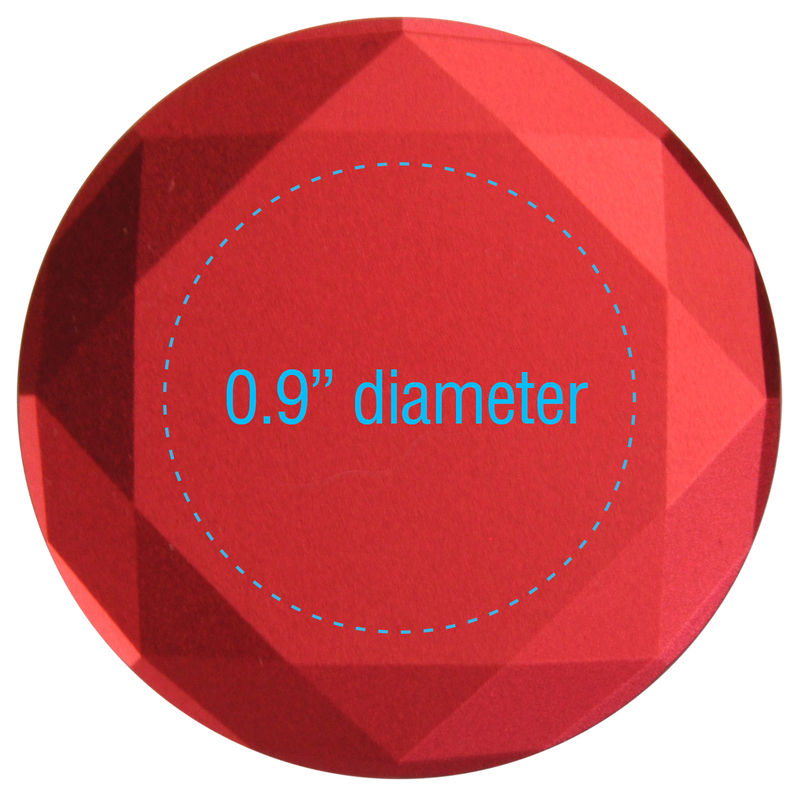 The Diamond Aluminum PopSockets® Grip features a 3 dimensional bevel cut and is available in beautiful gemstone colors, including Ruby, Sapphire, Emerald and Silver. 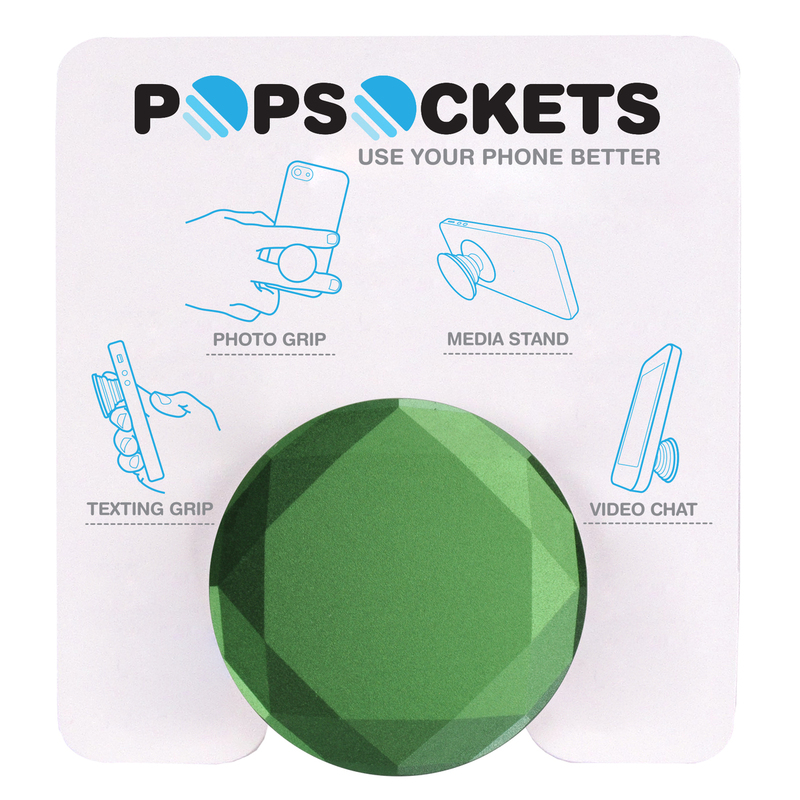 Sticks flat to the back of your phone, tablet or case with its rinsible, repositionable gel. 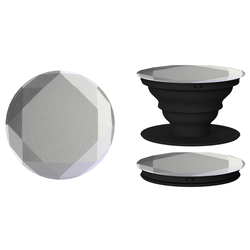 Once extended, the Diamond Aluminum PopSockets® Grip becomes a media stand for your device, a photo or texting grip, or lower it for a video chat.